Skoda India will not do a Volkswagen and enter the sub-4 meter, compact sedan segment anytime soon. Instead, the Volkswagen group owned Czech car maker will focus on improving the Rapid to gain better sales volumes. Improvements to the Rapid will however mirror those effected onto the updated Volkswagen Vento, which will be launched shortly. The Vento will lose its 1.6 liter-4 cylinder turbo diesel engine for a downsized, 1.5 liter-4 cylinder unit that makes the same amount of power and torque though. The same change will be made to the Rapid sedan as well considering the fact that the latter is a badge engineered version of the former. 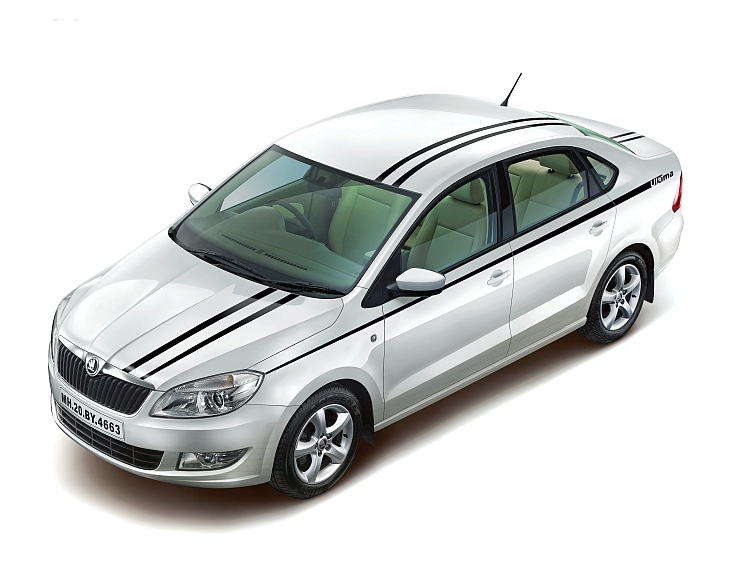 Also, the Vento and Rapid share the production line at Volkswagen’s Chakan factory. Apart from the new engine, the 2014 Vento will also get a DSG automatic gearbox option on the 1.5 TDI diesel engined version, another change that the Skoda Rapid will also adopt. Volkswagen plans to build the 1.5 liter TDI turbo diesel engine at Chakan, thereby taking the localization content of the Vento, from 70 % to 90 %. The same case will be true with the Rapid as well. A more localized Skoda Rapid will mean lower part replacement costs, a crucial step that will allay car buyer concerns of Skoda cars being expensive to maintain. However, it must be noted that the localization efforts will remain limited to the Rapid sedan, and will not touch Skoda’s premium products such as the Octavia, Yeti and Superb. Clearly, Skoda India seems intent on making the Rapid more affordable while retaining premium class positioning for its other cars. With that, the Rapid sedan’s best seller status in Skoda’s Indian line up is set to continue even as the Czech car maker redoubles efforts to boost sales through aggressive localization and a revamped features. The Rapid with the 1.5 liter TDI diesel engine and a DSG dual clutch automatic gearbox is expected to go on sale in India before the end of this year.